What a better way to start this month with some delicious inspired holiday breads. All kinds of bread that you can make this season. I have the privilege to carrying a lot of different recipes the my family have made for man years, and because I know you like different and new flavors, I want to share them with all of you. In this occasion I made a very different fruit, no rum or weird taste, no, this fruit cake is made with ricotta cheese and and I know dry fruits, but only cherries and pineapple. I actually know the this is a bread the your kids are going to enjoy a lot. Not a lot of sugar and great to make this holiday month. This fruit and cheese bread is different, delicious and totally ready to eat. In the bowl of a stand mixer, cream butter, sugar and ricotta cheese. In another bowl mix the dry ingredients, to the mixture above add, eggs, vanilla extract and mix. Turn off the mixer and add half of the dry ingredients and half of the milk, mix just to combine, to the other half of the dry ingredients add the dry fruit, turn off the mixer again and add the rest of the milk and flour, beat just to combine the ingredients. Place on a loaves pan and bake for one hour or until the center of the bread is completely cook. This recipe makes 2 medium size loaves breads pan. 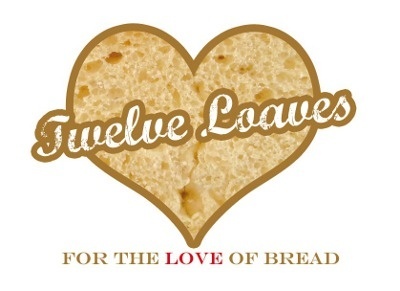 #TwelveLoaves is a monthly bread baking party created by Lora from Cake Duchess and run with the help of Heather of girlichef, which operates smoothly with the help of our bakers.